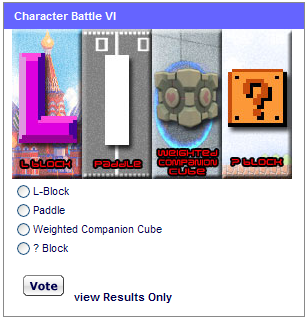 What Are Your 5 Favourites From The GameFAQs Character Battle? Here's the link to all the competitors: http://www.gamefaqs.com/features/cb9_b… There's 27 seeds, each with a different tab. My favourites are Pyramid Head, Charizard, Zero (MMX), GlaDOS and Wrex. What about you?